A powerful document processor for the busiest work environments, the Lexmark CX825dtfe provides everything a growing organisation could want. Delivering 52ppm, first page out in 6.5 seconds this multifunction offers fax, scan, print and copy at a highly efficient rate. 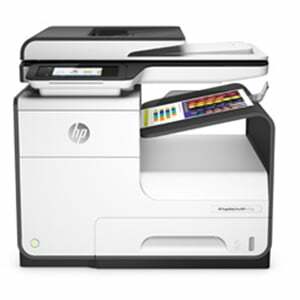 A 1.6GHz quad-core processor, 4096MB RAM and 2GB HDD help power the most demanding of print jobs. Double sided printing and extra high yield consumables offers extremely high efficiency. Two 550 sheet paper trays and 22,000 (colour) and 33,000 (black) page toners mean less costs, less waste and less maintenance. In addition the CX825dtfe come with an inline stapler, meaning that this MFP offers a complete solution for every document need. You can see full specifications, details and benefits in the CX825dtfe brochure. 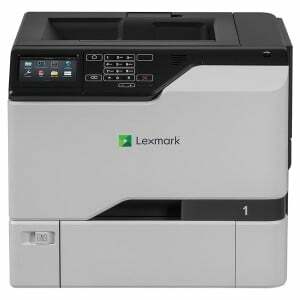 For other MFPs in this range please see the Lexmark CX825de and the CX825dte with 2x 550 sheet tray.